Career High. 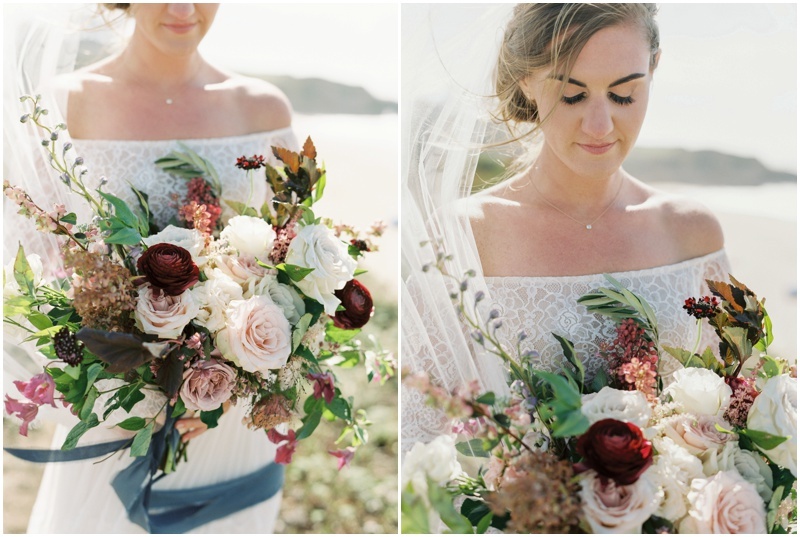 That’s what Mitch + Samantha’s coastal wedding at Villa Montara was for me…absolute perfection. Not only are they the most authentic people whom I now get to enjoy calling friends, but their style was absolute brand center for me as well. 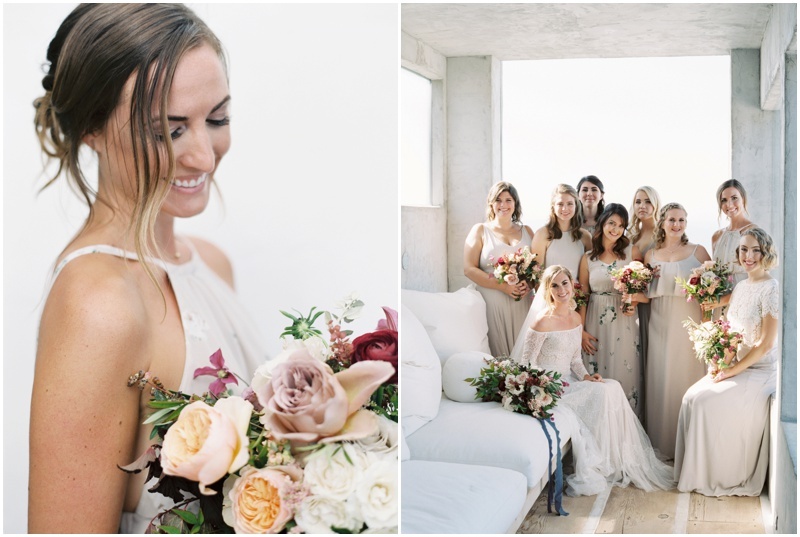 With a mix of modern minimalist architecture, coastal hues, natural art & beauty, incredible California light, plus a hint of good old fashioned romance, this wedding was sheer perfection in my book! 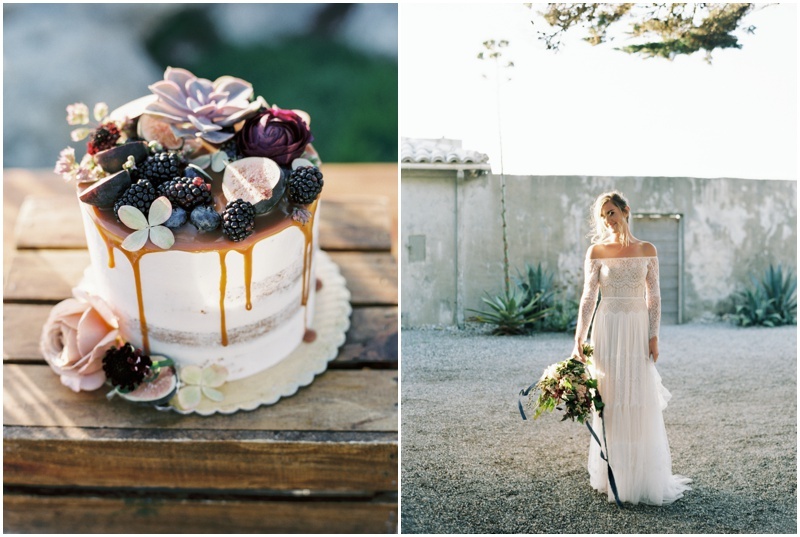 To begin my love affair with these two and the stunning Villa Montara, here is a bit of back story on their extraordinary venue… Sammie is a fabulous videographer, and knew she was looking for a very unique private estate with stunning coastal property frontage to make her dreams for her wedding day come true. 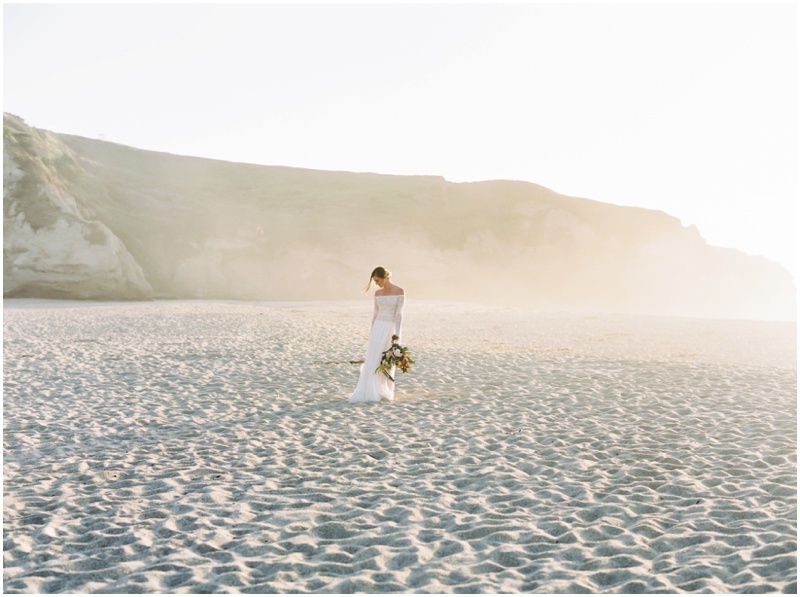 So when she came across Villa Montara, she knew it was a perfect fit. The property dares to compare to anything else I’ve seen in the US…it’s a minimalist, modern masterpiece with an equally breathtaking cliffside view that photographs like a dream…truly my dream come true as those qualities encompass so much of my own personal style and brand aesthetic. From Samantha, the bride: Mitch and I met during a documentary filmmaking course traveling through India. Instantly, a spark of attraction grew. Every evening, he would spend hours on the computer patiently teaching me all his editing tricks, and then we would sneak out onto the rooftop overlooking the city of New Delhi to talk about anything and everything the whole night through. We started dating shortly after that and moved to California together three years later. My passion for video pushed me to start a wedding videography business upon moving. Watching real love captured on video has always reminded me of us and of how big a role video played in our own love story. Because I’m around weddings for a living, I knew I wanted to have something more intimate that wasn't at your typical venue. I have an art and design background, so my dream was to find a well designed house with a stunning yard. My mom and I scanned home rental sites for months, praying that somehow the perfect home would pop up and they would allow a wedding to be held there. It seemed impossible, but one day we found the perfect place! 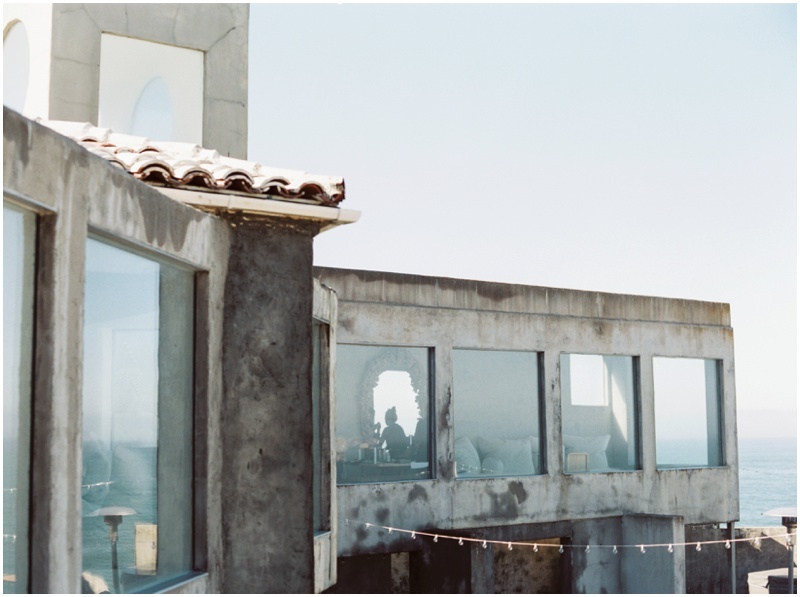 Villa Montara is an architectural dream nestled on an ocean cliffside in Montara, California. The grounds are full of minimalist art, and the interior is a designer's heaven. I wanted the day to feel relaxed and the focus to be on the stunning property and view. The few design elements I did bring in were things I ended up making myself, like the hand-painted wood welcome sign and our floral alter. 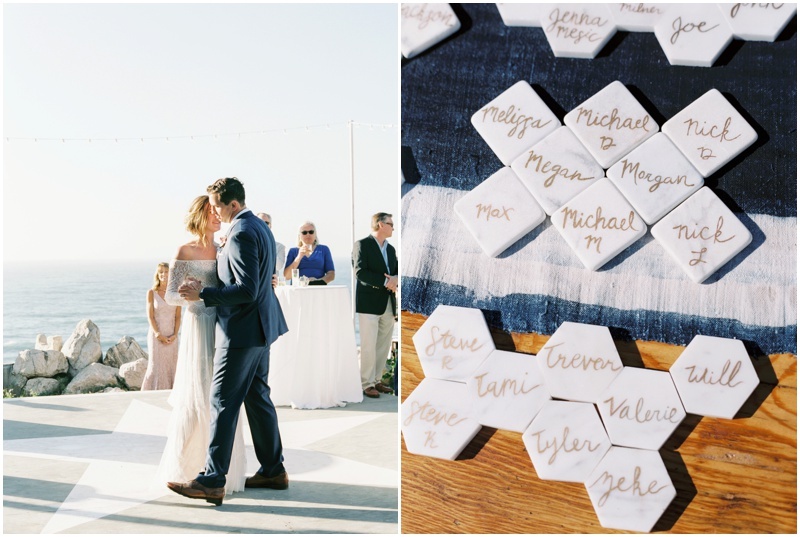 Mixing organic movement with simple, modern-geometric shapes has always been my signature go-to, and I’m so happy that this design concept translated so well on our wedding day! 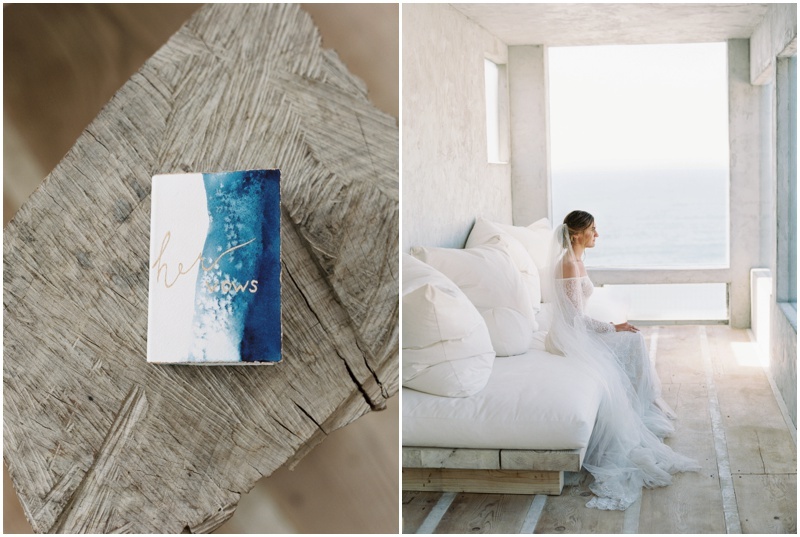 This breathtaking wedding has been featured, with some incredible wedding day insight, over on Style Me Pretty, the ever lovely Magnolia Rouge, and Minted (where their invitations were chosen from). 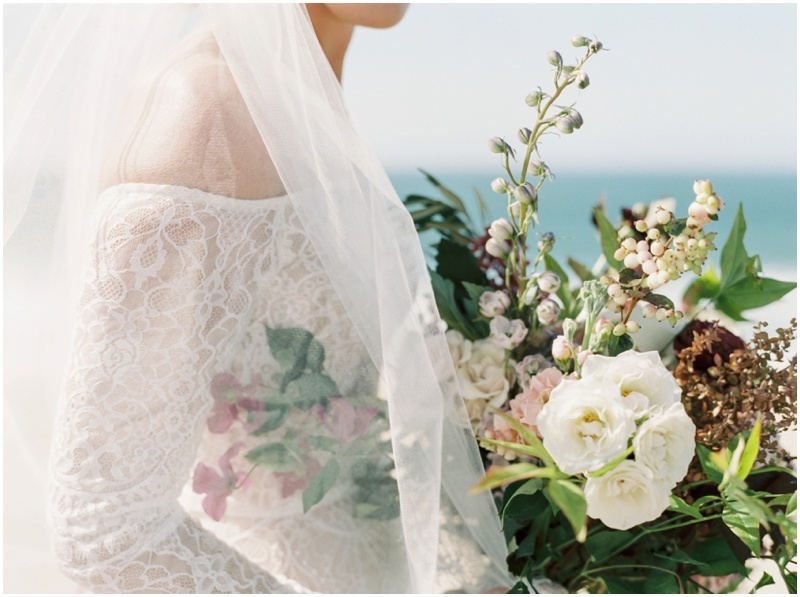 The couple decided to do their First Look / Grand Reveal out on the cliffs overlooking the ocean. 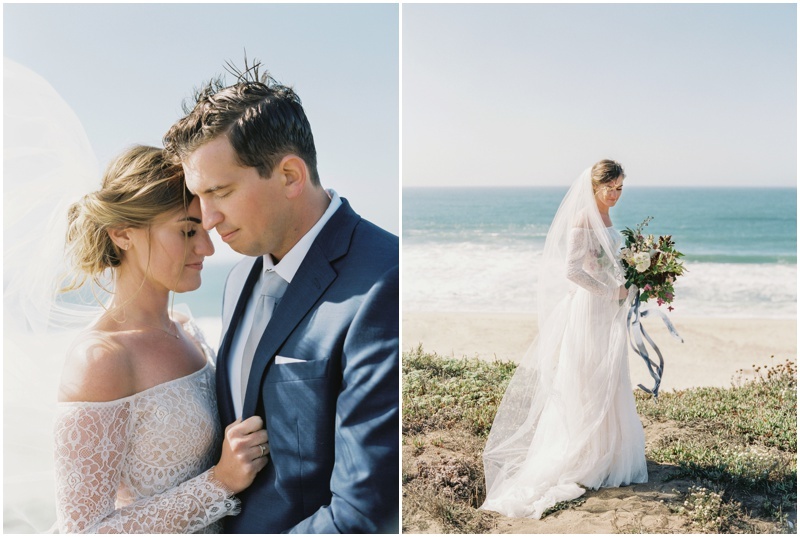 The weather was perfect, the views were spectacular and the coastal breeze blew the tears from our eyes before they hand a chance to land…SUCH a gorgeous moment with these two! Another part of this perfect day, was the team we were fortunate enough to work alongside. 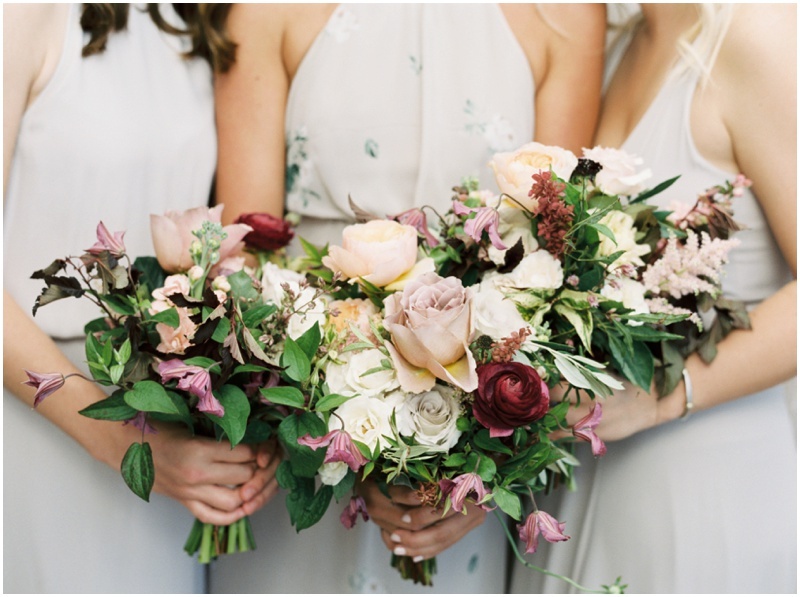 Meg Catherine Flowers flew all the way in from Indianapolis to created THE MOST SPECTACULAR floral arrangements…with substance, movement, delicacy and an ideal match to Samantha’s palette. 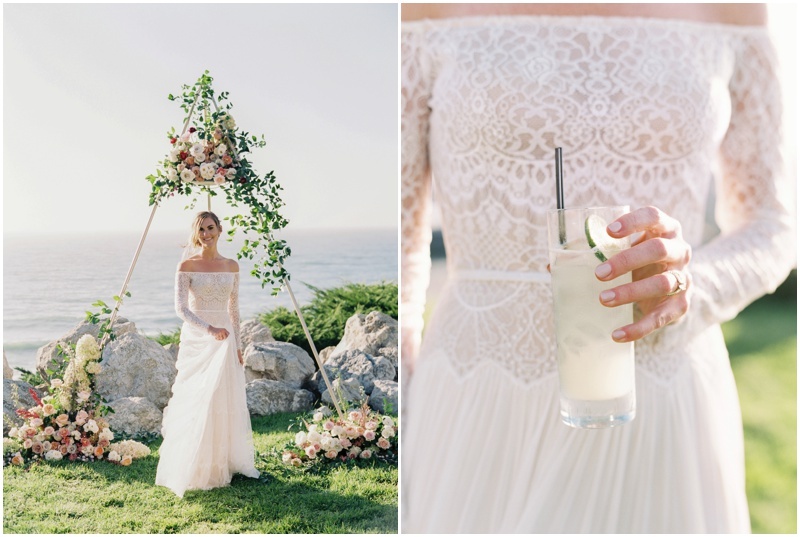 And Katie Linter from Two Hearts Event Design immediately became another darling friend as she effortlessly created the most seamless event…everything was truly flawless! Each vendor involved was professional, thorough and a delight to work with. So grateful to Mitch & Sammie for curating such an incredible team!